The 2014 GreenWay Art Prize at the Art Est. Gallery, Studio 4, 67-69 Lords Road, Leichhardt is a fantastic collection of work by local artists celebrating the urban environment and community in Sydney’s Inner West so try to get along to see it before the exhibition closes on 10 November. 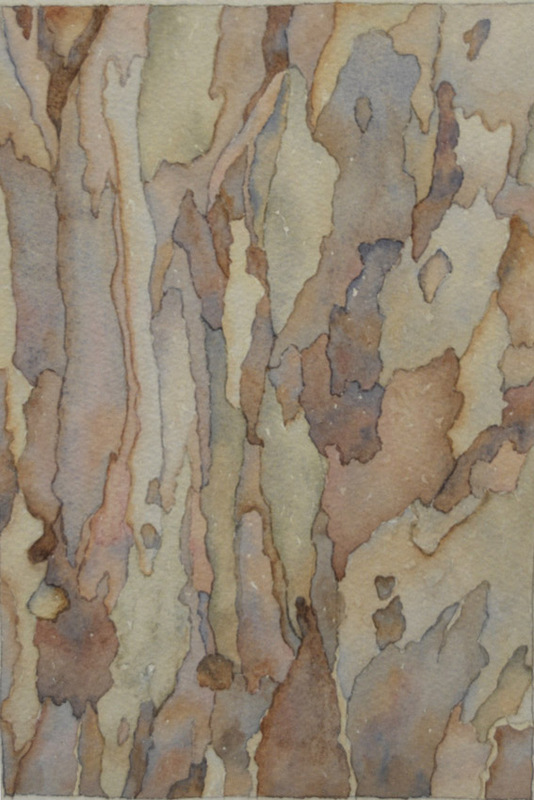 My watercolour painting, ‘Gum Bark’ was awarded a highly commended on the opening night, Thursday 30 October, which was a great success with a really big enthusiastic crowd. 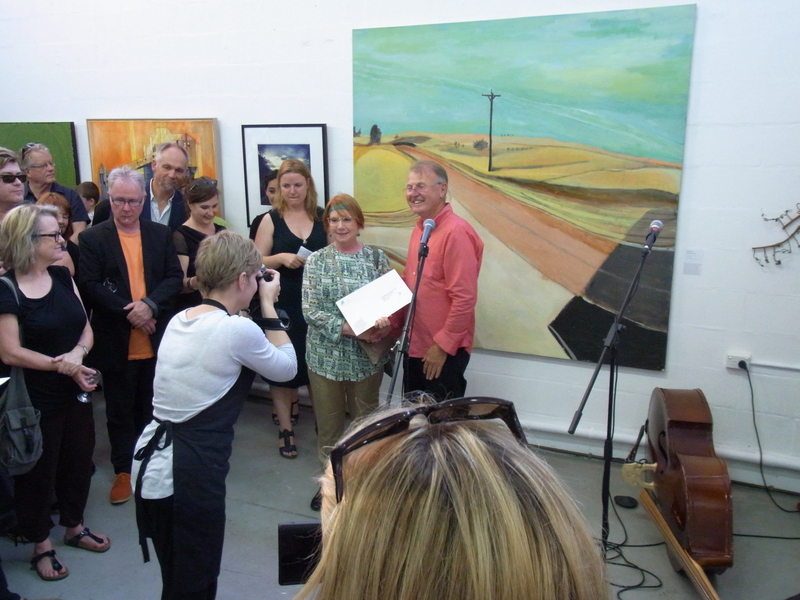 Below is a photograph of me being awarded my prize certificate from Marrickville Councillor, Chris Woods, at the gallery and also my winning work. The gallery opening hours are: Monday, Tuesday & Wednesday: 10am – 9.00pm, Thursday & Friday: 10am – 5pm and Saturdays: 9.30am – 1.00pm.